You’re committed to making your community feel like home for your tenants. By signing up your property, you’ll receive energy-saving products in each unit – all at no cost to you or your tenants. They will appreciate your ‘green’ efforts and the lower energy bills too. Why not save everyone energy and costs for free? Here are the products and savings you could bring to your multifamily community without spending a penny. Free Energy-Efficient Showerheads – 30% less water for lower water and energy bills. $25 typically saved annually per unit. Free Low-Flow Faucet Aerators – 30% less water for lower water and energy bills. $10 typically saved annually per unit. Free LEDs – use up to 70% less watts and last up to 25 times longer. $10 typically saved annually per unit. 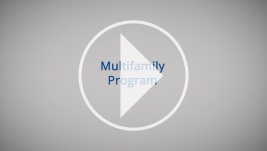 Take Our Multifamily Virtual Tour to see ways you could save at your property. Download our River Village Case Study to learn how a property like yours saved with the Multifamily Savings Program.